This ancient juniper tree yearning for the stars is brought to you courtesy of some of the lowest light pollution I've seen in Colorado. The image is completely natural, with no manipulation in photoshop. 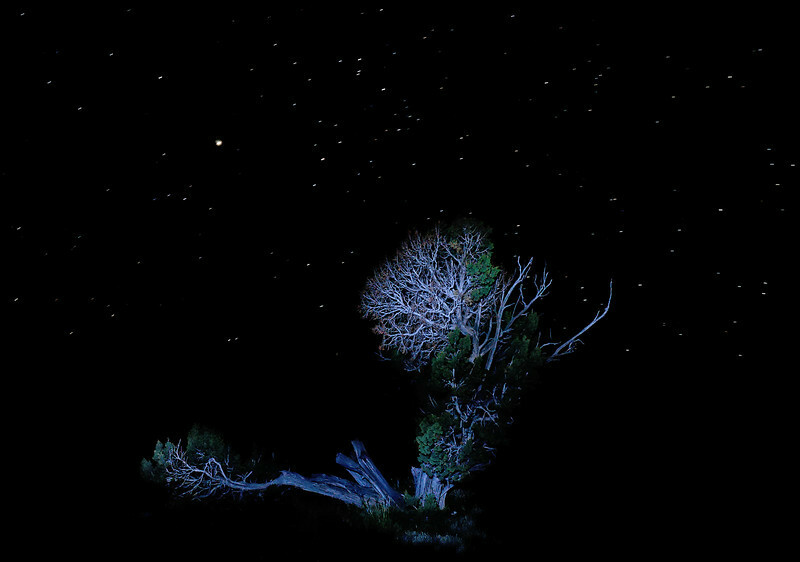 The tree was illuminated with my white LED headlamp, basically a paint with light experiment. The exposure was 63 seconds.